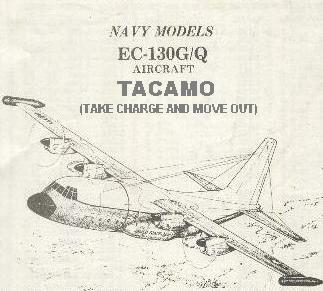 Please visit Captain Vern Lochausen's OLDTACAMO.COM web site! For 30 years, from December of 1963 to August of 1993 these US Navy model EC-130G and EC-130Q kept silent watch over America. For almost 20 years they flew non-stop 24 hours a day, 7 days a week "Just in Case". Most are but a memory on paper in the Naval Historical Archives and in the minds and hearts of the Crews that flew them and the Maintainers that kept them in the air. A lucky two still live on flying as civilians, two enjoy retirement as displays to the dedication of the people of the US Navy that stood the watch ready to answer the call that never came. I was looking at the web site and am very glad that some TACAMO Sailors care as much as I do about preserving the history of what we all did to help win the Cold War. I recently listened to Senior Chief Mike Shook say it better than I could at his retirement. He said that what it meant to be a TACAMO Sailor in the Cold War was to be on alert, get the call and rush out the aircraft, not knowing if this was it, the real thing, the time when we would have to do what we trained to do and know that having done that the world and life as we knew it would not be the same again and yet we did and would go and do just that. His son, a young airman just starting in TACAMO was a part of the presentation of Old Glory to the Senior. About the patch on the website, I wanted to give credit for it. LT Luke Caron was in VQ-3 at Barbers Point, HI in the late 1980s and was one of our finest Herc pilots when we trying our best to bring on the Merc. The Boeing testing of the Merc at the redline airspeed found that with full rudder deflection put in quickly in both directions, parts of the vertical tail came off. This was outside the envelope but part of Boeing's policy to test to the limits. 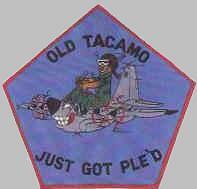 The fix for this delayed the introduction of the Merc's to TACAMO and so Luke and several other Herc crews got PLE'd to maintain airborne coverage in place of the Merc crews that could go up yet, due to no aircraft. Luke came into my office one afternoon and hesitatingly asked me if I would allow the patch. My HERC heritage was running hot and of course I agreed. They sold like hot cakes in December. Herc crews carried the load in VQ-3 until the last one went home and in 1990 VQ-3 became an "all Merc" squadron. EC-130Q 162313 lives on with the Royal Netherlands Air Force! EC-130Q 162313 - Now Royal Netherlands Air Force C-130H G-988 on the ramp in the Netherlands after delivery. 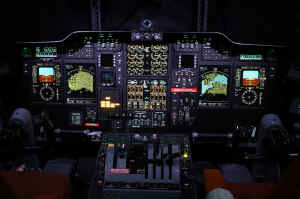 Cockpit - no steam gauges here! 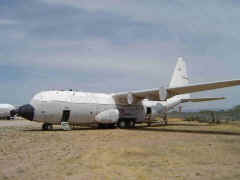 On Tuesday 22 November 2005, the contract was signed for the acquisition of two C-130 Hercules aircraft. The Royal Netherlands Air Force will expand its Hercules fleet with two additional medium-heavy tactical transport aircraft. 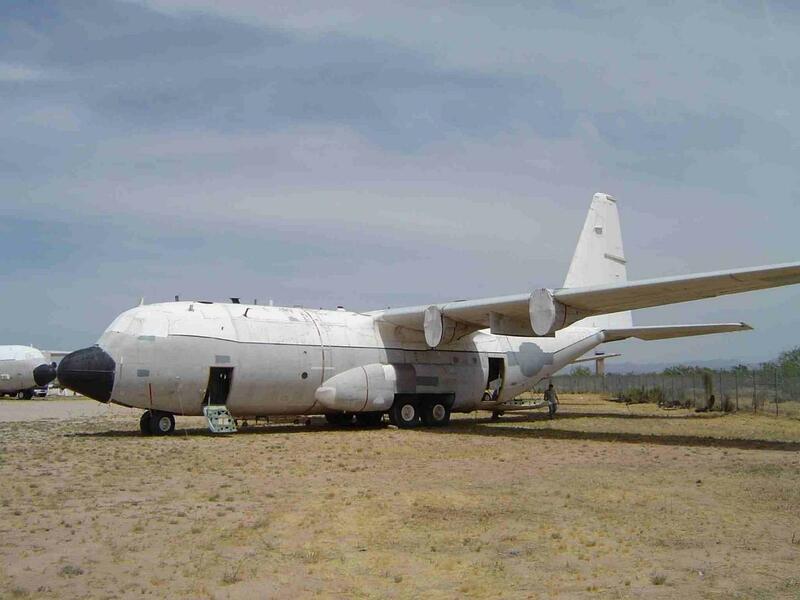 Acquired through Derco Aerospace the aircraft included in the deal are former TACAMO EC-130Qs N14781 (c/n 4781, ex USN/160608) and N9239G (c/n 4988, ex USN/162313). 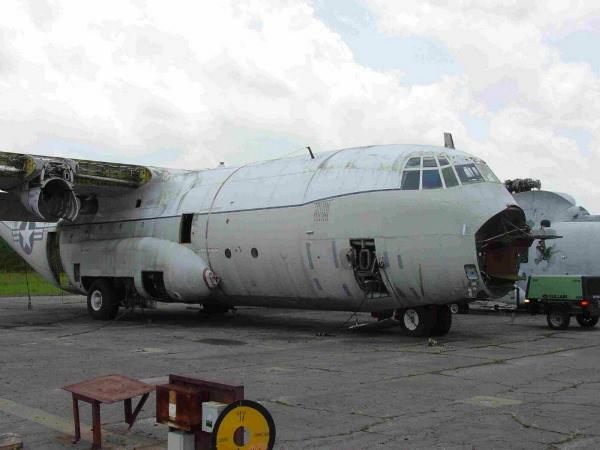 A third EC-130Q (N54595, c/n 4595, ex USN/159469) will serve as a source for spare parts. 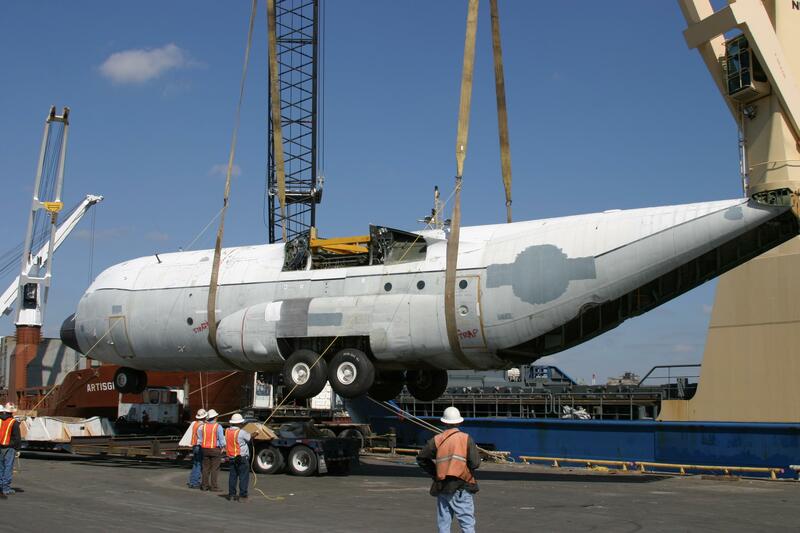 All three were retired to the Aerospace Maintenance and Regeneration Center at Davis-Monthan AFB, Arizona, in 1991, and were sold off in 1997 which moved them into the Dross Metals Inc/ARM yard in Tucson, Arizona, adjacent to AMARC. 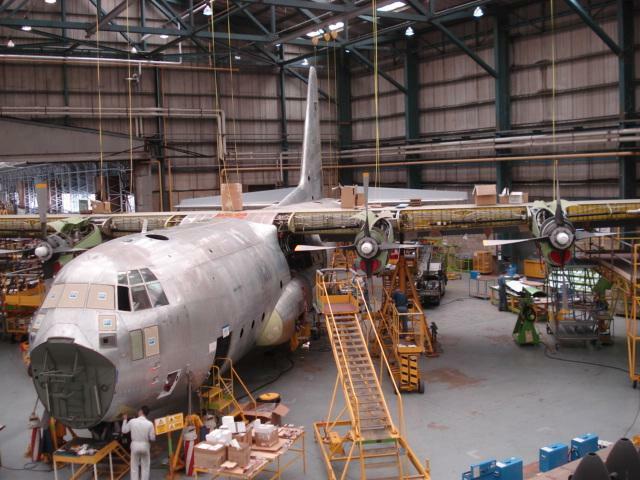 Previous plans to acquire only a third Hercules from the UK MOD (planned to be followed by a fourth example several years after) were cancelled because of delays. In mid-2005 the Dutch Ministry of Defence decided to purchase two C-130s now to enter service in 2007. The two C-130s will replace the four Fokker 60 medium-light transport aircraft. The C-130 is more capable and better equipped for the tactical transport role (rear cargo ramp), and also offers better range and capacity. After transport, the two aircraft will get a complete overhaul, and receive fully refurbished engines and propellors. 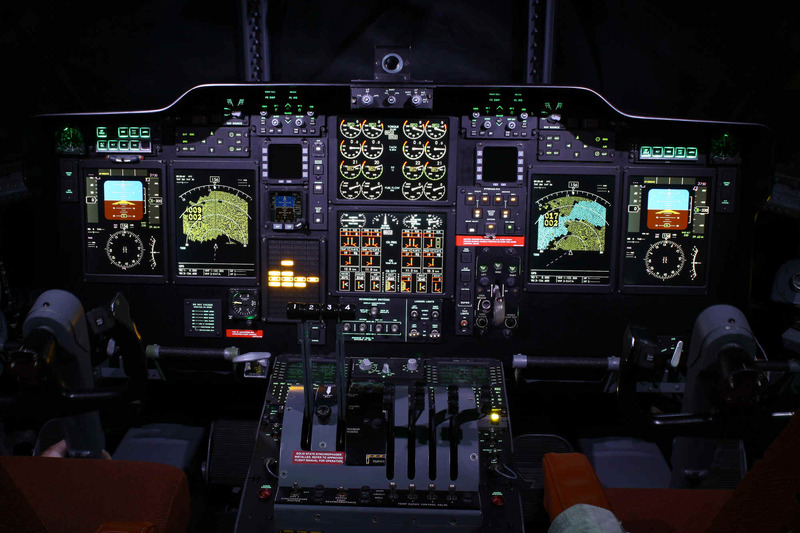 They will also be fitted with modern avionics and "glass" cockpit. The two reworked C-130H (short) Hercules aircraft are expected to enter service in 2007 with Eindhoven-based 334 Squadron, joining the two existing C-130H-30 (stretched) aircraft already in service, which will in future also be fitted with updated cockpits similarly to the two new C-130H. 161223 is about to be scrapped.